After Upgrading H5 with Marketing Automation, One Brand Attracted 250,000 New Followers to Its Official WeChat Account. Brands often use WeChat H5 to spread their message. 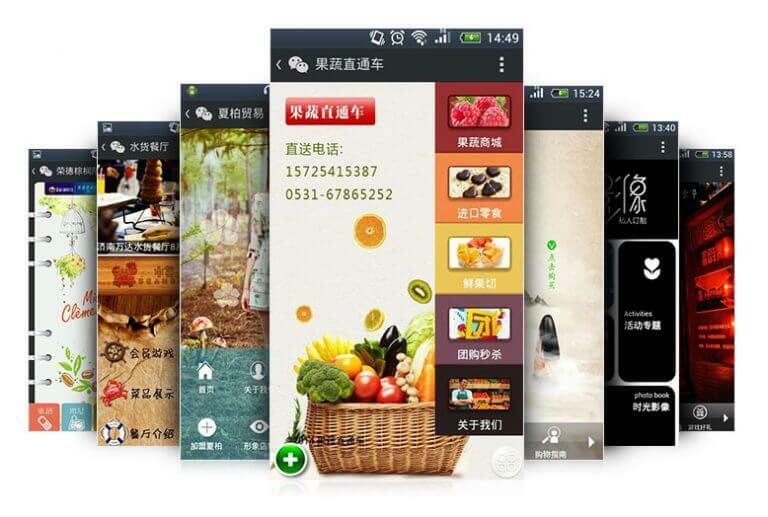 With a dazzling display and relaxed interface, you can easily grab the attention of WeChat users. In 2017, there was no shortage of excellent WeChat H5 campaigns. Today, I want to tell you how to H5 can be icing on the cake, attracting more users to your official WeChat account and increasing conversion rates. Our client today is a famous Italian luxury goods brand. Founded in Rome as a family-run leather goods shop, they gradually expanded into high-end women’s clothing, men’s clothing, footwear and perfume. Later, they branched out even further, into knitted clothing (针织服装), jewelry and cologne. Now, the brand enjoys an excellent global reputation for its fur products and handbags. At the beginning of 2018, our client planned an offline event – an “extraordinary fairyland” – at eight designated stores across China. They promoted the event through posts on its official WeChat account and through an H5 campaign. Their goal was to recruit both new and old customers to enter to win a ticket to the event. There was a separation of the H5 campaign from the brand’s official WeChat account (users were directed straight to the H5 campaign’s content, instead of the official account). Although the page views for the H5 campaign surged, the number of official account followers only increased a little bit. The call-to-action usually comes at the end of the H5. Is there any opportunity to recapture the attention of users who didn’t finish the H5 activity? 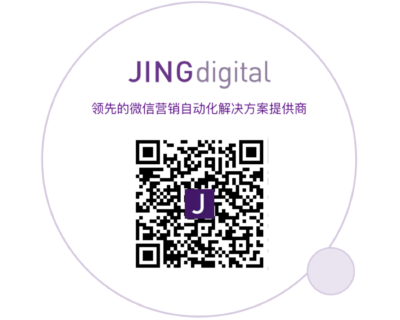 At the H5’s portal, JINGdigital established an identification code. It recognized H5 users who hadn’t yet followed the brand’s official account, and, as they made their way through the H5 journey, prompted them to follow the official account before finishing the H5 activity. For existing followers, the H5 can skip this step, ensuring a fun and fluid experience for all users. After completing the H5 experience and receiving an offline coupon, your fans – both new and old – will get personalized promotions, activity invitations, and other types of content via their customized Customer Journey. H5 usually calls for users to interact with each other and fill out information to receive promotions. In the past, if a proportion of fans didn’t complete the H5 activity the first time, then the probability that they would re-enter the H5 and complete it was slim to none (partly because the H5’s portal wasn’t clear). Now, JINGdigital can lock onto this subset of followers and, using several tools (customized posts, keyword triggers, personalized menus, and more), we can visualize the H5 portal for the user. Ultimately, we can increase the probability that users will return to the H5 to participate in the offline promotions. With JINGdigital’s upgraded H5 and customized Customer Journeys, the brand gained 250,000 new followers to its official account from the H5 activity, and over 100,000 to signed up for its promotion. Features like “Customer Journeys,” personalized content pushes, and customized menus are not native to the WeChat platform. By itself, WeChat can’t satisfy brand’s marketing demands. Submit your information on our website or our sales team as soon as possible to experience how marketing automation tools can help you understand your followers and implement precise marketing campaigns.